Dr. H. Gary Greene established the Center for Habitat Studies as a geophysical institute of Moss Landing Marine Laboratories (MLML) in 1994 to characterize and map marine benthic habitats and marine and coastal geohazards. 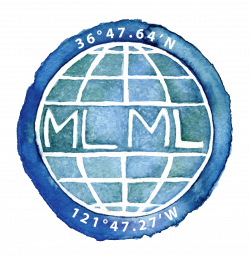 At the time, Dr. Greene was the director and geological oceanographer at MLML, and his graduate students largely comprised the Center for Habitat Studies staff. For more than twenty years, with over 200 completed projects for a variety of clients from the public, private, and governmental sector, the Center for Habitat Studies has developed into a geological and biological research institute that is a world leader in the field of benthic marine habitat mapping. Still under the primary direction of Dr. Greene, the current Center for Habitat Studies staff includes former graduate students and colleagues that have amassed vast experience in field and laboratory techniques and applications, and have been working collaboratively for nearly twenty years. The primary focus of the Center for Habitat Studies (CHS), since inception, has been to sample and map the seafloor for myriad applications, ranging from the determination of habitat associations of commercially important fish stocks for governmental agencies to the identification of secure fiberoptics cable routes for the communications industry. Scientists and technicians at the CHS have broad, interdisciplinary experience in the collection and analysis of data necessary for these projects using a variety of marine geophysical tools, data processing and statistical programs, GIS technologies, and the production of high-quality maps, figures, technical reports, and scientific publications that detail our findings. Under the direction of Dr. H. Gary Greene, the Center for Habitat Studies at Moss Landing Marine Laboratories has produced habitat maps and GIS products for a wide variety of state and federal fisheries management agencies (e.g., Alaska Department of Fish and Game, California Department of Fish and Game, and several regional laboratories of the National Marine Fisheries Service), academic institutions (e.g., California State University at Monterey Bay and University of California at Santa Barbara), and private organizations, including MCI-WorldCom and Pacific Gas and Electric Company. All equipment and personnel necessary for the processing of seafloor imagery, creation of geologic, bathymetric, and habitat maps, and production of professional map and GIS products are contained at the Center for Habitat Studies, limiting our need for outside contractors. In addition, the Center for Habitat Studies has established long-standing collaborations with fisheries biologists throughout the U.S. Pacific, and is therefore uniquely qualified to construct map products and conduct biological assessments that cater to these interests. Capabilities include: spatial analysis of habitat data, video analysis of habitat types, invertebrates and fishes (e.g., identification and enumeration as well as determination of distribution, relative abundance, and density), statistical analysis, and production of figures, tables, and completed reports or manuscripts. Several projects incorporating habitat mapping and evaluation of fish-habitat associations have been completed successfully and have greatly expanded the original scope and capabilities of the Center.